What are FDX & FDR Files? A file with the FDX or FDR file extension is a Final Draft Document file. These types of files are used by the screenwriting software Final Draft to store scripts for TV episodes, movies, and plays. The FDR format is the default file format used in Final Draft versions 5, 6, and 7. Since Final Draft 8, documents are instead saved in the newer FDX format. While most FDR files you'll come across will be Final Draft Document files, some are Embroidery Design files, Windows Error Report files, or SideKick 2 Note files. Flight Data Recorder files may also use the FDR file extension. FDX & FDR files can be opened and edited with Final Draft on both the Windows and Mac operating system. The software isn't free to download but there is a 30-day trial option you can get. Even though Final Draft 8 and newer save movie scripts in the FDX format, the newer software still supports the FDR format as well. Melco's DesignShop should be able to open FDR files that hold embroidery designs. Windows Error Report files that use the FDR file extension are generated from the Windows operating system or from programs like Windows Live Messenger. 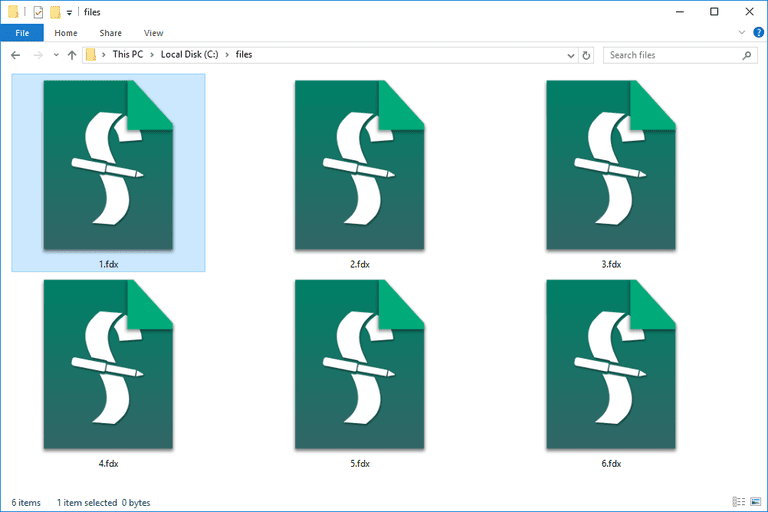 These files are meant to be opened by the operating system, but you might also be able to open them manually with a text editor like Notepad++. I'm unaware of any software that can open a SideKick 2 Note file, but since it's likely some type of text-based file, I'm sure a simple text editor can display most if not all of the file. If you have the program associated with this file already installed on your computer, you can probably use some type of File > Open menu to open the FDR file within that program. Flight Data Recorder files may be able to open with Vector Flight Controller or eLogger. Use Notepad++ or another text editor to open the FDX or FDR file if the information from above isn't helpful. Final Draft FDX/FDR files are not text-only files but another type might be. If so, a text editor may be able to properly display the file's contents. If the file isn't 100% readable, there may be some text within the file that help identify what software is used to create and open it. If you find that an application on your PC does try to open the FDR file but it's the wrong application or if you would rather have another installed program open FDR files, you can change the default program for a specific file extension in Windows. Final Draft 8 and 9 (both the full versions and the trials) automatically convert an FDR file to the newer FDX format when it's opened. Final Draft supports saving both types of files to PDF too, but only in the full, non-trial version. The Final Draft trial only supports opening/converting the first 15 pages of the document. If you have an FDR file that's longer than that but need to convert it to FDX, we suggest this solution. If SideKick 2 Note files can be converted to any other format, it's likely done through an Export or Save as menu within the program that opens it. However, since we don't know what software is used with this type of FDR file, we suggest opening it with Notepad++ and then saving it under a new text format like HTML or TXT. There isn't any reason to convert an error report FDR file that's used with the Windows OS.